January is upon us, the gym is just a tad fuller, the temperatures are freezing, and your favorite legislators are back in session. 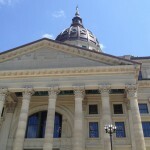 While there are certainly some nuances to the legislative sessions upon us in Kansas and Missouri, there are a few major themes across both states. 1. Lots of new faces that lean to the right. November’s elections in both Kansas and Missouri saw an influx of right-leaning legislators, and lots of them. In Missouri, there are a whopping 61 new legislators while Kansas has 50 freshman legislators. Republicans round out 68 percent of legislators in Missouri’s House and Senate, while they total 75 percent in Kansas. In the past, Governor Brownback had a Republican-leaning legislature, but was oftentimes roadblocked by moderate Republicans in the Kansas Senate. Many of those Senators were not re-elected in 2012, giving Brownback more of a green light for his policy priorities. In Missouri, there are enough Republicans to constitute a super-majority that has the sufficient votes to override a gubernatorial veto. As a result, Democratic Governor Jay Nixon will have to cooperate with the legislature to accomplish anything. 2. Medicaid expansion is the health hot topic. While health advocates and pundits anticipated several scenarios for the Supreme Court’s June ruling on the Affordable Care Act, the Court threw many for a loop by ruling the entire act constitutional but determining that the Medicaid expansion had to be an option for states rather than a mandate. As a result, both Kansas and Missouri have the opportunity to expand Medicaid to the 138 percentile for all residents, a move that Health Forward supports. In both Kansas and Missouri, consumer health advocates and hospitals have come out with heavy support for expansion. In Missouri, Gov. Nixon and the Missouri Chamber of Commerce have lent their support as well. In Kansas, Gov. Brownback is still studying the issue before taking a position. Interestingly, the Medicaid expansion discussion in Kansas is even more complex as the state transitioned to KanCare on Jan. 1, 2013. KanCare moves the state’s entire Medicaid population into managed care plans operated by private companies. 3. Health insurance exchanges aren’t. Both Kansas and Missouri had until Jan. 1, 2013 to tell the government whether they wanted to operate their own health insurance exchange or transfer that responsibility to the federal government. After two sessions and little progress, it appears that both states are headed for a federal exchange. 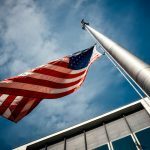 Although HHS extended the deadline to Feb. 15, 2013, neither state is poised to meet that deadline, nor is there sufficient political will to move forward on a state-based exchange. Stay tuned for what will surely be a dynamic legislative session. With so many fresh-faces and political strife, you can count on Health Forward and our grantees to keep our eyes on the prize: access to affordable, quality health insurance for the low-income and uninsured.